Big news in the betting exchange world from the purple machine, BETDAQ…..
New customers can now claim up to £1,000 in cash back on commissions paid over the first 30 days of your account. That’s right, when you sign up you can receive up to £1,000 in commissions refunded to your account. Blimey, imagine what that’s going to do to your bottom line. 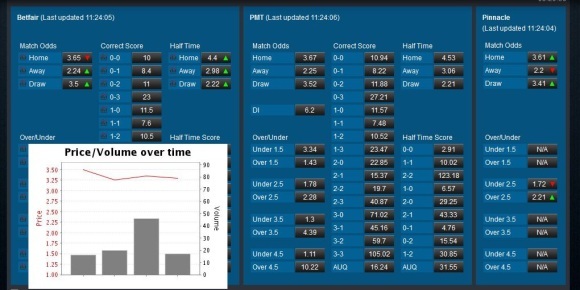 Whether you are a trader, matched bettor or just a value punter, this is huge! You will well know by now that here at bet72 we have always recommended that everyone have betting exchange accounts with all the main players, as you never know when you might need it and when there is a special offer to boot then this really is a no brainer. The future’s bright, the future is purple. Well it is over at BETDAQ right now. They have not 1, not 2 but 3 fantastic offers…. Naturally BETDAQ are all up and running in our free bet finder software, ODDSMATCHER too, so what are you waiting for. Take your pick and come & join the Purple Revolution…. Just had news of an excellent offer that betting exchange BETDAQ are running for Royal Ascot in conjunction with the trading software outfit BETANGEL. In fact here is Mr BetAngel himself, Peter Webb to give you all the details…. BETDAQ is back with a key promotion at Royal Ascot, well timed if I say so myself! As I’m sure you’re aware, next week is a huge one for traders with Royal Ascot and the US Open taking place. BETDAQ has traditionally performed well during the big meetings (see the image below), if not better nowadays than Betfair. So it’s an ideal opportunity to give it a try next week. I tend to trade on both exchanges during these key meetings. 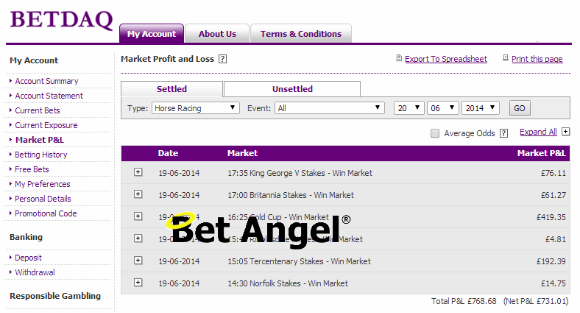 Bet Angel for BETDAQ is currently FREE of charge so you really have nothing to lose. You can download a copy by clicking HERE. Get 50% of Trading Losses back up to £/€50 from 00:01 15/06/2015 to 23:59 20/06/2015! OPT IN using promo code BT215A in your My Account section when you log into Betdaq via desktop. Trade a minimum of 5 bets per day, in 3 different markets on 3 of the 5 days of the promotion to qualify.